Gift giving is meant to be a joyful event. 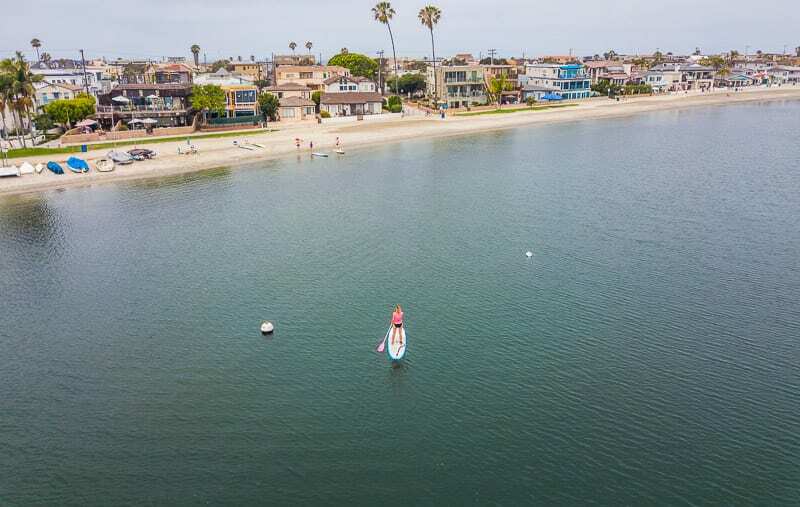 But sometimes trying to find the right present can be stressful, especially if the person you are buying for is a traveler and embraces a minimalist lifestyle. There are only so many Lonely Planet guidebooks you can buy. As a frequent female traveler for 20 years, I know exactly what women want when it comes to travel gift ideas. It’s about being organized, efficient, and feeling glamorous. So I’ve created a travel gifts for her guide for you! 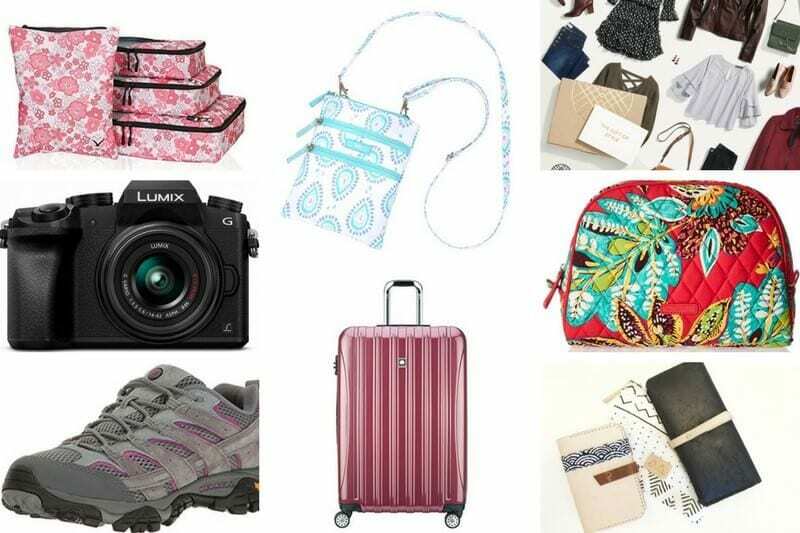 All of the items in this travel gift list I personally use and love and won’t travel without. Not to be confused with him or the kids. These gifts are for the woman you love, whether that is your wife, your mother, your girlfriend, your daughter or your best friend. If she loves adventure, pretty things, being organized, and looking great on the runway then these travel gift ideas for her will make you the most popular person at gift giving time. We’re heading into the silly Christmas season, but these are gifts that don’t lose their shine, or their trend, so you can bookmark this and buy that special gift for her at any time of the year. I’m a woman and I travel All The Time. These are the travel gear and products, I absolutely LOVE and would not travel without. They have made my travel lifestyle easier, more efficient and definitely more glamorous. I’ve tried multiple travel products and gear over the years, these are a standout. I’ve narrowed it down to the most essential travel items for her, so to not overwhelm you with too much choice. You’ll notice that everything on my list is bright and colorful. It’s better for your chakras – the energy that helps you create what you want AND life just feels better when it’s bright and colorful. I wanted a list that was more unique and interesting than your usual neck pillows, sleep mask, and noise cancellation headphones. Some of these travel gift ideas have affiliate links via Amazon, but some don’t. I want to share with you what I think are outstanding products, regardless of whether I can earn a small commission if you do purchase products through my affiliate links. So you know these are truly what I love and recommend. Every time I put a PrAna piece of clothing on, I feel giddy at how comfortable the item of clothing is. I don’t get how they do it, but there is something about the quality of their fabric that feels amazing. Out of all my clothes in my wardrobes, my PrAna outfits are commented on the most by people I meet in real life. It’s uncanny how many people say they love what I’m wearing. Even to stop and talk to me in the streets or while waiting in line for coffee. They are hugely practical and diverse for travel. 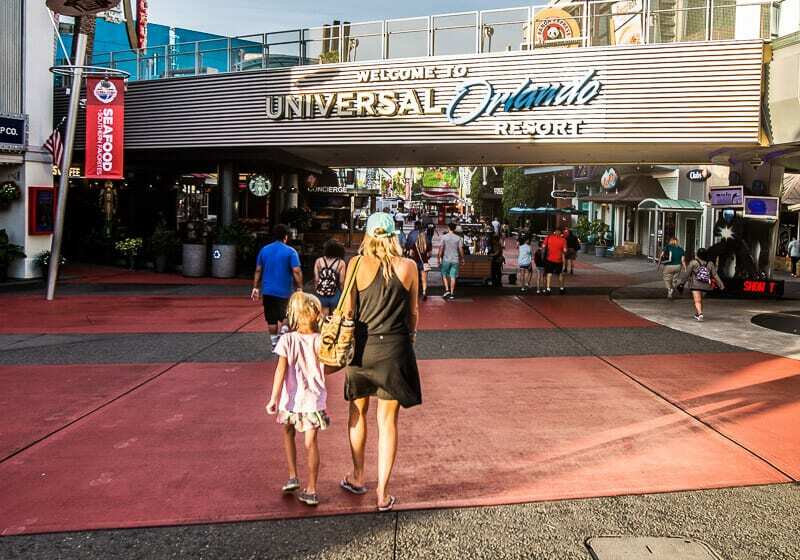 I have a gorgeous black PrAna dress that I can wear to the theme park for the day and then change into a pair of black sandals and wear out to dinner. They last a really long time, which is what the travel girl in your life really wants. 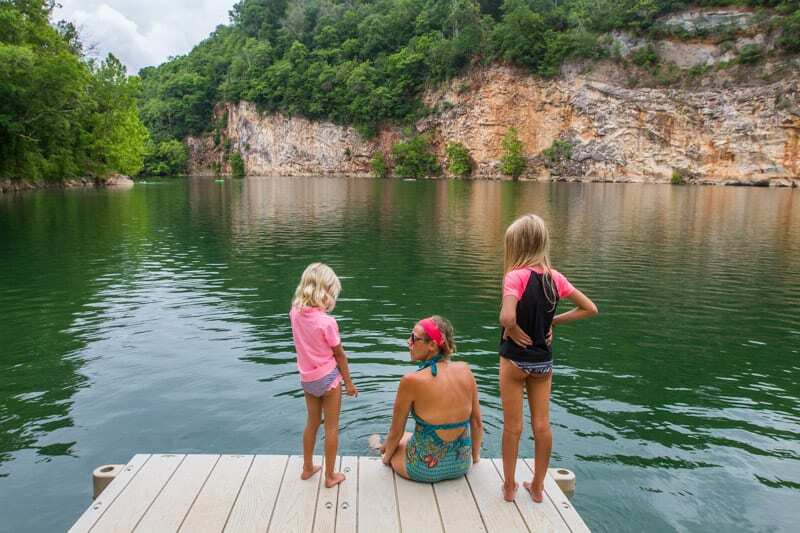 They have clothes for comfortable travel, hiking, yoga, rock climbing, and even swimwear and denim. I love their yoga gear – even their mats are awesome. When you wear PrAna, you are helping the environment and communities. Their clothing is made from organic cotton and hemp, have minimal impact on the environment and are fair trade certified. They are also the perfect travel gift for the men in your life! See the latest styles here. The woman in your life will love it, trust me, especially if she’s super busy, which I’m guessing she is. The woman in your life craves memorable experiences more than possessions. Give her the gift of a dream travel experience. She will remember this for the rest of her life – material things she can easily forget, use up and toss away. You could go all out with an all expenses paid vacation – go you! Or, you can simply give her a travel experiences gift voucher for a tour or attraction of her choice. We love Get Your Guide, a premier tour and attraction booking site. You can find hundreds of travel experiences for hundreds of destinations around the world. It’s an easy, rewarding and joyful gift for her, and a great stocking stuffer ! Click here to grab your Gift Voucher from Get Your Guide. One of my favorite travel gifts for her products! One thing I desire for my travel adventures is a travel wallet that holds my passport and other documents. Something stylish, colorful and practical. I hate having my documents scattered in different places. It makes travel so much easier and more enjoyable when you can easily access what you need in one place. I discovered the underwear organizer last year, and my packing sanity was saved. I never imagined I would love it as much as I do. It keeps my undies and my socks organized and so easy to find. I love how it rolls up and fits neatly into my suitcase and I can hang it in the wardrobe for easy access. It’s also great to take into the hotel room bathroom (also particularly if you are camping or staying in shared accommodation). No underwear falling on skanky wet floors. I also love the designs for the Origami Underwear – keeping up the fresh glam look. 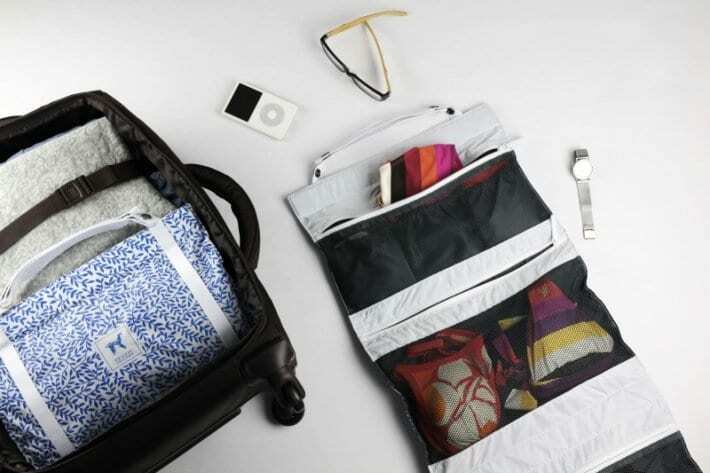 The underwear organizer is a unique travel gift for her. I may travel with too much jewellery but at least it’s organized and I can easily see what goes with my travel outfit for the day. 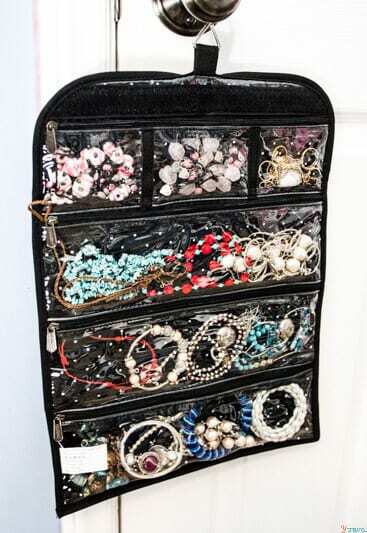 And I use this jewellery organizer even when I am not traveling. I love how it rolls up really small and then I can easily hang it in the wardrobe when I check into my room or arrive home. Before discovering this earlier this year, my jewellery was one hot mess in my suitcase getting lost and caught in everything. 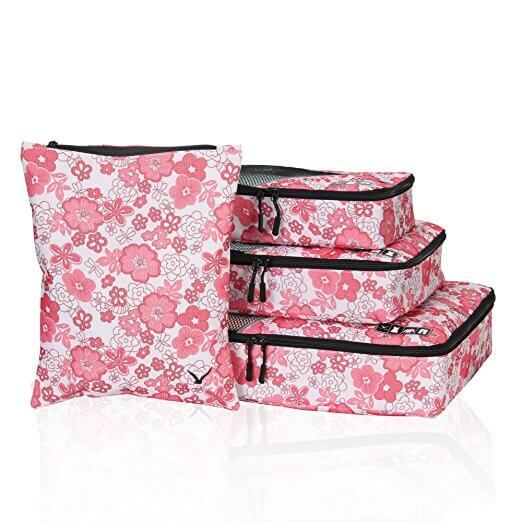 One of the great value travel gifts for her products! I love looking in my suitcase and seeing how organized everything is, AND colorful. Packing organizers and packing cubes are the ultimate. I never used to think they were necessary until I got them and realized how incredibly chaotic my packing used to be which caused me stress and chewed up time trying to find things. 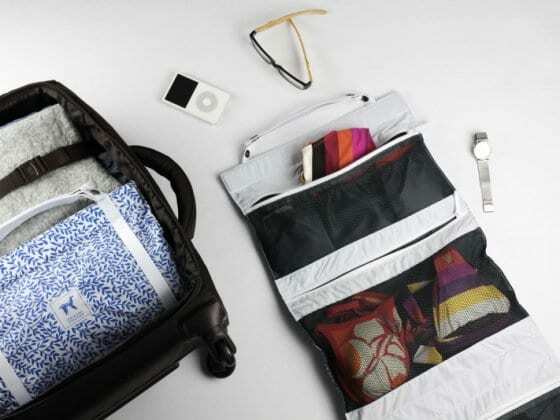 For the Aussies, you might want to check out some of the packing organizers I love from local company Globite over here. 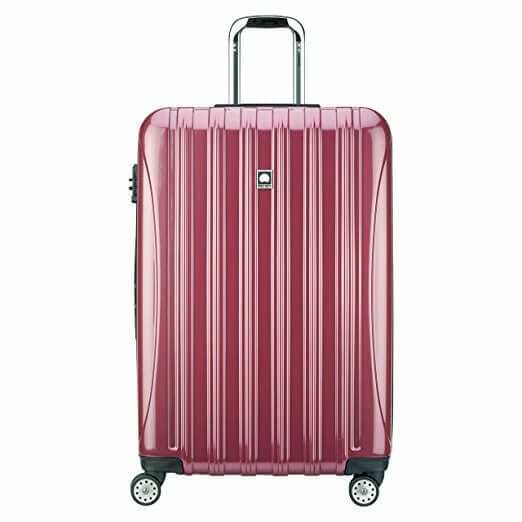 I recently purchased a pink Delsey 29 inch Expander Spinner trolley suitcase which I love. I’ve always had soft cover black two wheeled suitcases that were pretty crappy. A good travel bag makes a huge difference. Now I can pick out my suitcase on the carousel immediately (no luggage tag needed), and it rolls effortlessly. I love how I don’t have to angle it and drag it, I can just push it along on the four wheels. I like how the when you open the suitcase it has two compartments, one on each side, and one has a zippered section so you can put the things you don’t want seen in there! 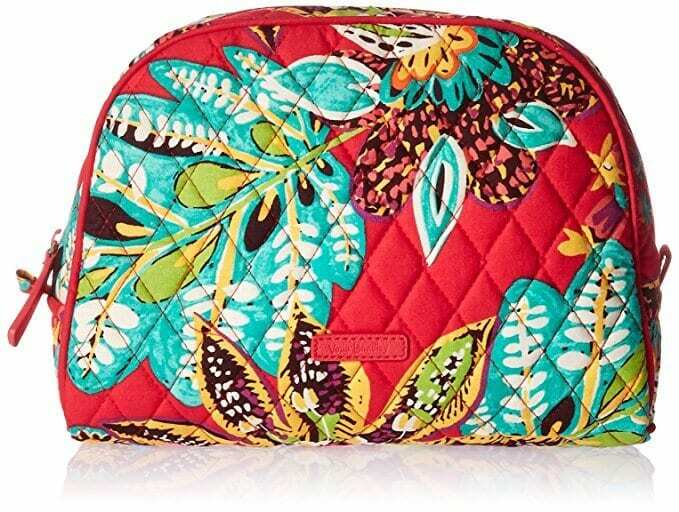 This cosmetic bag is large enough to fit in the basic makeup I need throughout the day to top up, and small enough to fit in my cross body bag. 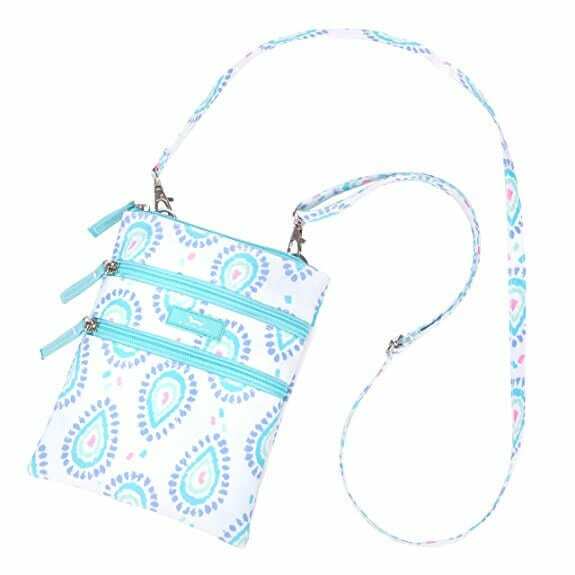 I love the vibrant design, I have the red one and the girls have a purple paisley one. She has lots of different designs. Check out this great gift her her here. I love traveling with a cross body bag. I like to carry as little as possible and have my important things easily accessible. I don’t like to dig around in big bags that hang off my shoulder or in backpacks. Cross body bags are safer too as it’s harder for someone to steal from you. Everything is in the front of you. I like having a few zippered pockets as well so I can keep smaller items like my phone, headset and pens separate and easier to find. My cross body bag fits in my new camera too which is so exciting, and my bottled water, which is more important than you think! 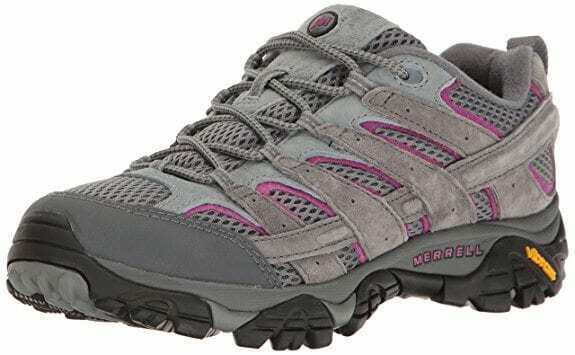 A great travel gift for women who love walking and hiking are Merrell Moab hiking shoes. These are a new addition to my travel wardrobe – a birthday present from Craig and the girls. I’ve been using my Keen sandals for the past four years, which I really love, BUT, the leaves are turning and we’re about to experience our first winter in about four years. The sandals just won’t cut it anymore. I tested these hiking shoes out on our recent leaf peeping trip to New England. I LOVE them. Super comfy and lightweight – my essential for travel shoes. No blisters necessary. I love the style and color and they keep my foot sturdy and protected and the grip is great. They are also waterproof – essential for a pair of hiking shoes. And they are stylish enough to wear with a pair of jeans as well – so they easily made my list of the best travel gifts for her! It took me some time to research and decide on the best travel camera to suit my needs. I wanted a camera I could use for vlogging and to take my own photos. It’s just a secondary camera so I wasn’t going to go big budget and fancy, but I wanted quality for a decent price. Excellent focusing – this was the most important thing for me. 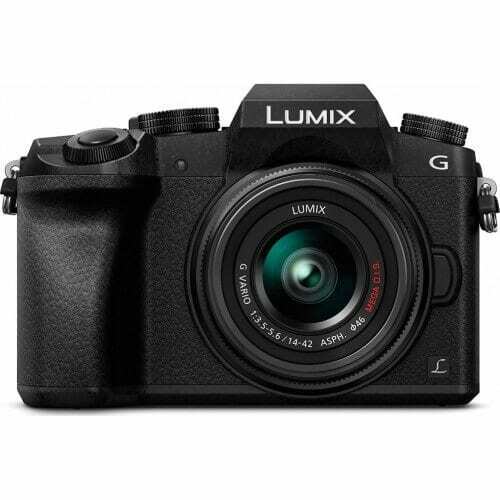 After reading a ton of reviews and getting lots of advice I decided the Panasonic Lumix G7 was the one that best fit what I wanted for the price. I am AMAZED at this camera. I like it even better than I thought I would. It’s super easy to use, the design is brilliant, it takes amazing photos, the focusing is so good. It’s better than our primary DSLR camera which we need to upgrade! If the woman you love wants a good mid-range camera that can fit in her cross body bag and is easy to use and captures amazing memories, this is the camera for you. And I purchased this pack with a bunch of other accessories in it, which will probably come in handy. A great starter kit. 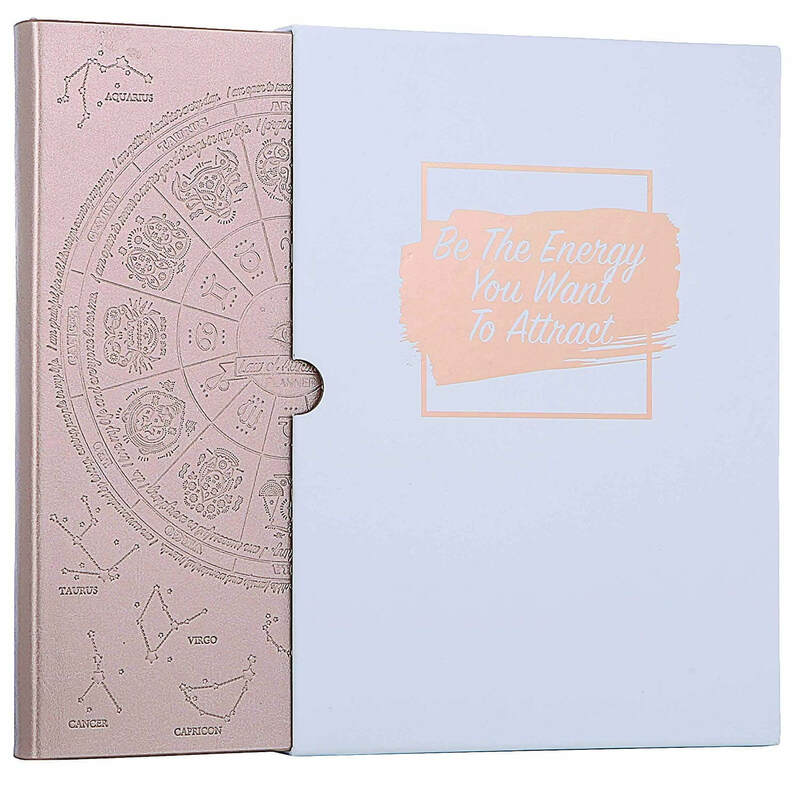 When thinking about travel gifts for her, I couldn’t go past a good planner (journal). But this travel gift is more suited to the business woman, one who carries her work wherever she travels. A good organizer, or planner is key. I have a million ideas, tasks, and appointments running through my head on any given day. I need an organizer that helps me brain dump, jot down, strategize, plan, and schedule. One that helps me reflect is also beneficial. I’ve had this planner for two years and absolutely love it. It keeps me focused, organized and on track to forming helpful habits and nailing my goals. Get yours here. It’s seriously one of my favorite things I own and it goes everywhere with me. The girl in your life will love you for giving her this over something like a boring travel pillow! For anyone wanting to purchase the next gift for her, this would be the perfect accompaniment. 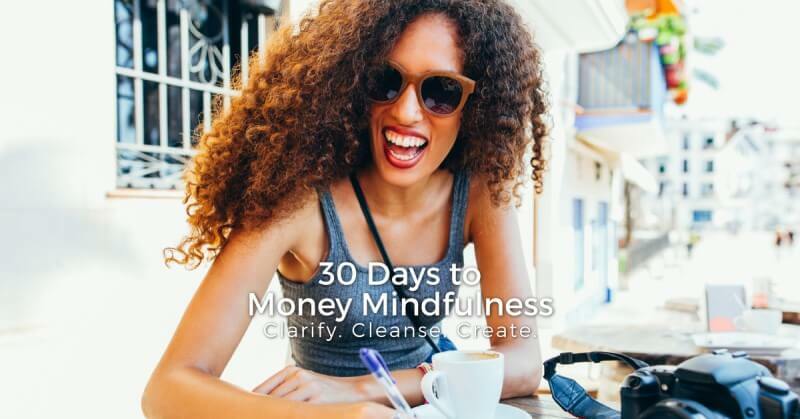 My mind is ticking now as to how I can create something that will go with my Money Mindfulness program. What’s this got to do with travel? Everything! This program will help you get clearer on your values and desires, what you want from life, and help you learn how to create it. It’s the principles I’ve used to create a lifestyle of travel for 20 years AND now a thriving online business that is immersed in travel. It will help you turn your I can’t because I have no money, to how can I? Yes, this is my course. Yes, I use the principles in here every single day. 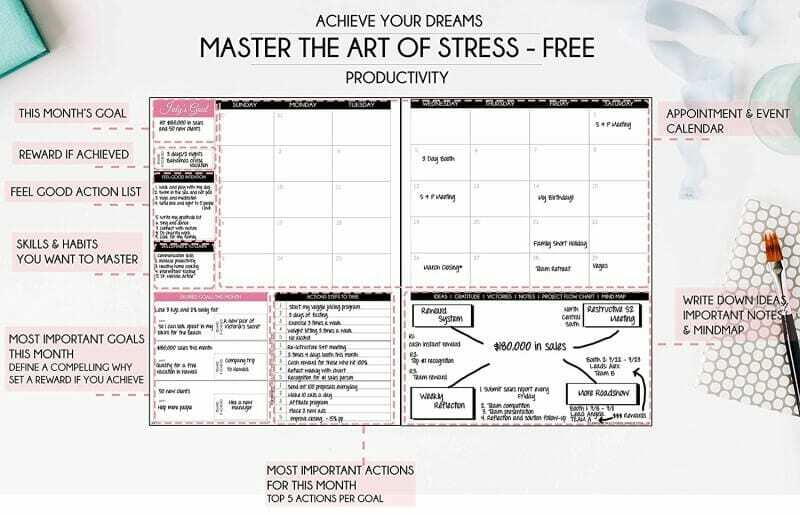 I’ve taken the secrets and put them into an easy, and enjoyable program to follow so you can raise your mojo and create a life that thrills you. Click here to get started and join our community. 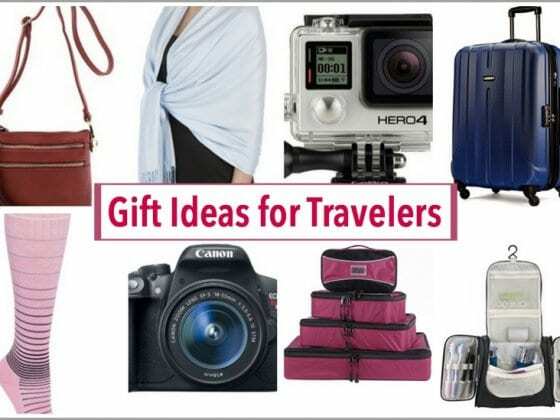 What travel gift ideas for her would you add to this list? I am in so much aww of your blogs. They are always so amazing. 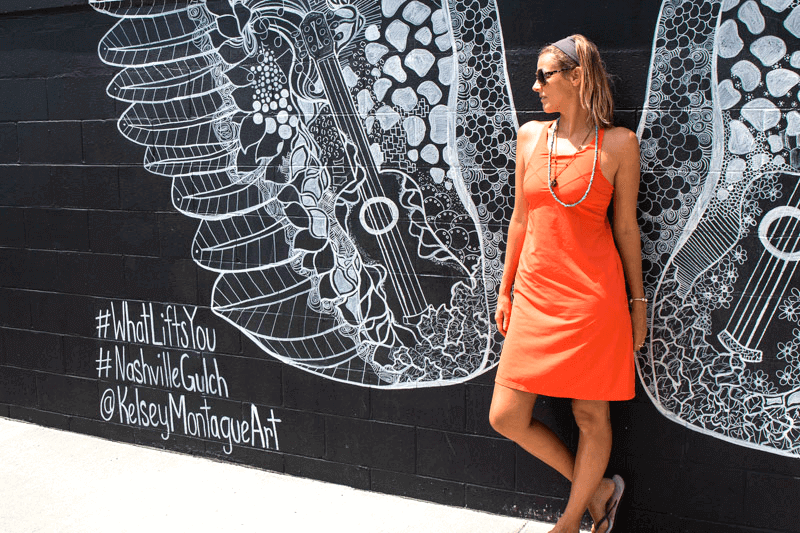 Taking about this one, well, it has certainly helped me to get some ideas for gifting stuff to one of my travel freak friends. Love those travel wallets..really need to get one for myself! I remember the last time in the airport we had sometime in our hands so I sat down to grab a bite and I threw my boarding pass along with the tissues after eating…my husband was freaking out on me..let’s just say it was super embarrassing! Get her Cascade Wallet by Mani Wonders, She will be so pleased with it. Believe me, My Bea loved one of those.